We're going to be seeing a lot of royals in Brazil in the coming days and weeks and someone had to get the show started. 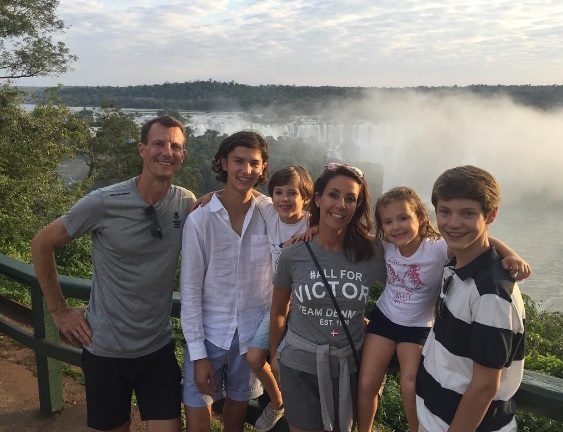 Prince Joachim and Princess Marie of Denmark get first dibs on regal action near Rio as they were seen carrying out engagements and enjoying a bit of family time just days before the Olympics start. And while there will be plenty of spectacular images as royals from across Europe head to Brazil, they've got a job on their hands to top the image of Joachim, Marie and their family smiling in front of the Iguazu Falls. It’s fifty years today since England won the World Cup and one of the most famous royal photos of all time was taken. 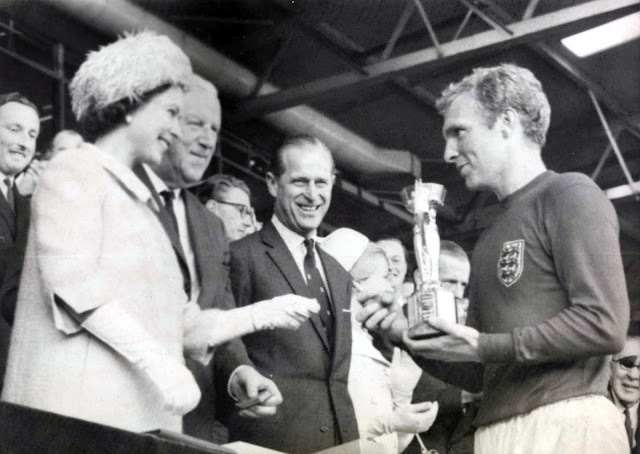 Five decades on there is still something rather special about that image of the Queen handing over the Jules Rimet trophy to Bobby Moore. That picture is part of British history but it’s also rather rare. 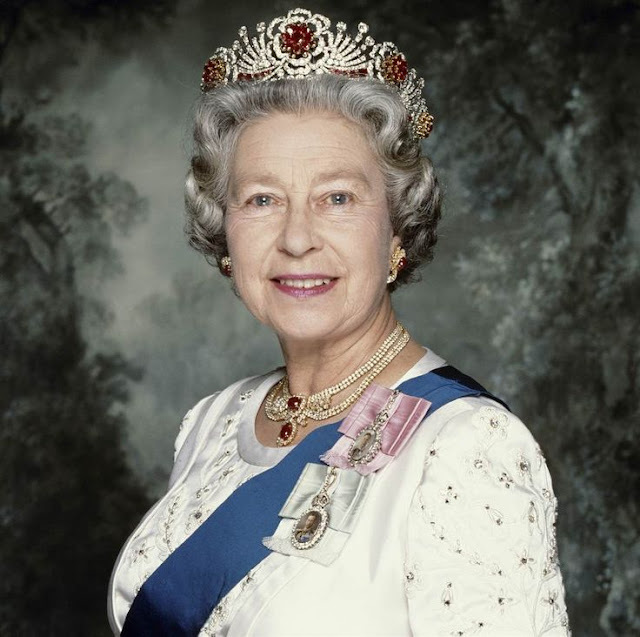 For the Queen is one of just three European monarchs to have presented football’s most famous trophy. To mark the anniversary of England’s famous win, here’s a hat trick of royals who have handed over the World Cup. The Olympic Games are now less than a week away and as the build up continues, we've had a right royal send off for one team. 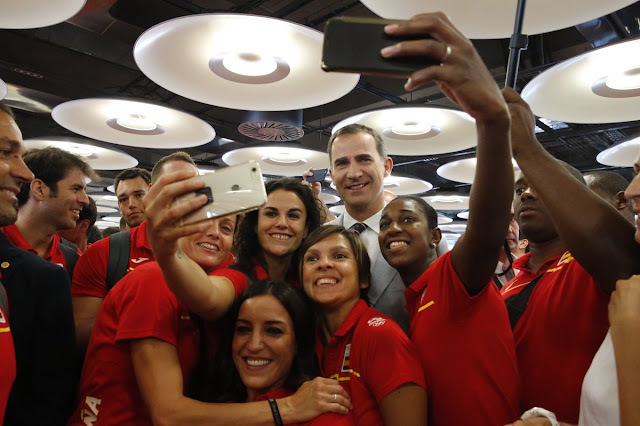 King Felipe and Queen Letizia of Spain headed to Barajas airport in Madrid to wish their fellow country men and women good luck - let the games begin. It remains the most famous royal wedding of all. 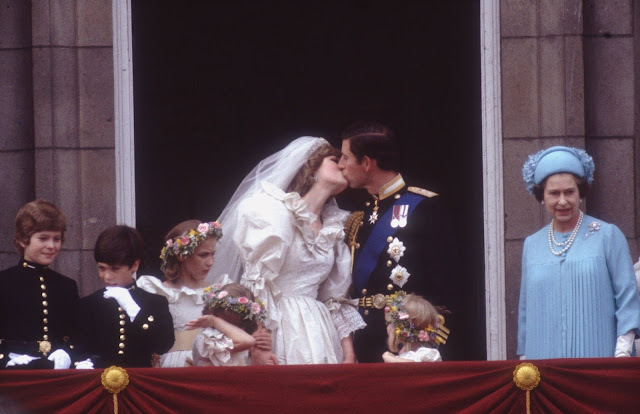 The ending may not have been the fairytale everyone hoped for on that July day in 1981 but the event itself was a modern royal event like no other. In the intervening 35 years we have had many other royal weddings but none has really come close to matching the moment when Charles, Prince of Wales and Lady Diana Spencer were married at St Paul's Cathedral, London on July 29th 1981. Here are ten legendary images of Charles and Diana's marriage. After weeks of speculation, the confirmation. 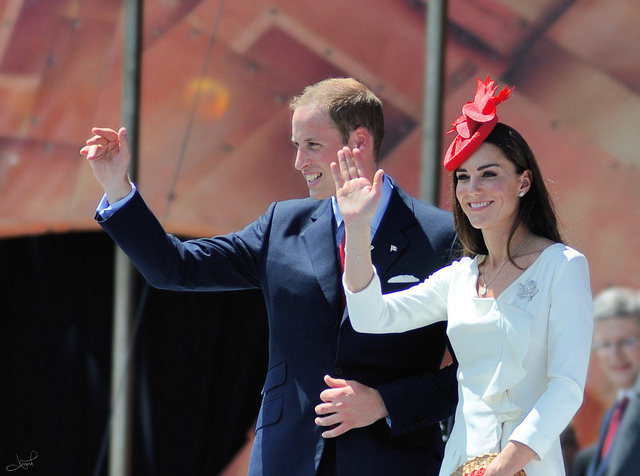 Kensington Palace had announced that the Duke and Duchess of Cambridge will return to Canada this autumn for a tour of the country that welcomed them on their first official overseas visit following their marriage. Now the big question is - will George and Charlotte go too? Queen Letizia of Spain has her last official engagement of July today according to her agenda so it feels like a good time to reflect on this particular royal wardrobe. 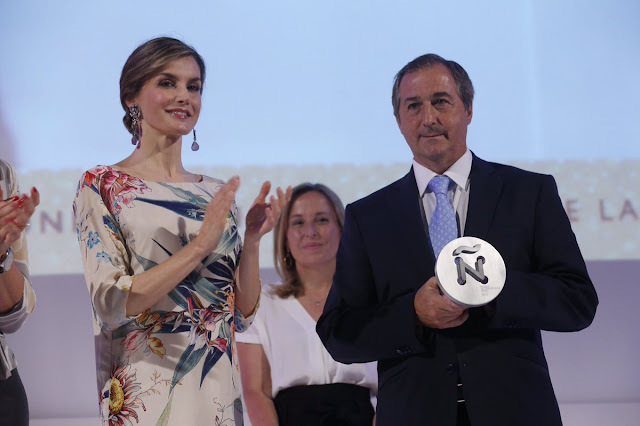 Letizia had a quiet start to the year, partly due to the ongoing political situation in Spain, but the summer has been a busy one for this consort. So to start a summer of looking back at what's been in the royal wardrobe during 2016, here's a round up of Letizia's Looks during July. There's nothing like a tiara fit for a queen. And while many of the diadems in the royal collections of Europe right now have been worn by both regnants and consorts, some of them are designated in that very exclusive category - queens only. 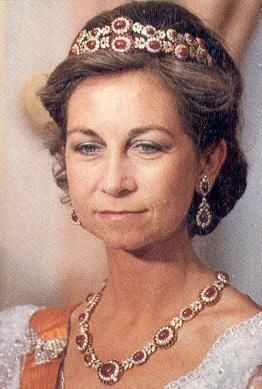 The Oriental Circlet Tiara, owned by the Royal Family, is one of those. Prince Harry has shared one of his deepest held thoughts today as he revealed he wishes he had spoken about the death of his mother, Diana, much earlier than he did. 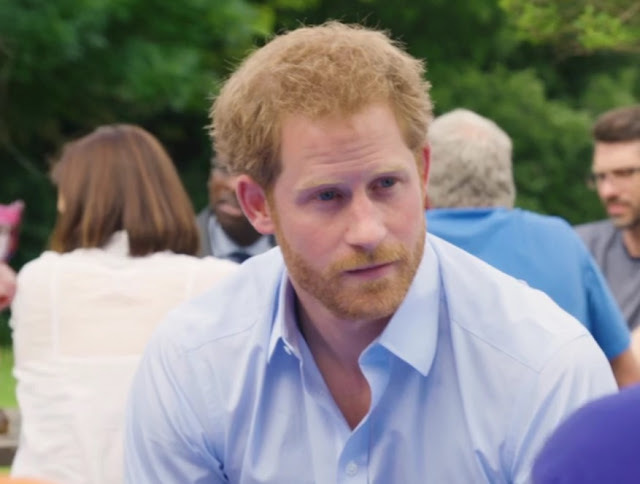 As he hosted a Heads Together event to focus on depression and mental health issues, Harry said he now thinks waiting until he was 28 to open up about the loss of Diana was too long. It's a frank and poignant admission from Prince Harry but it will no doubt help many who are struggling with sadness to open up about things that affect them. She's been named godmother of a major charity, attended a world famous event and hobnobbed with Hollywood stars. As Princess of Monaco, Charlene would have expected this in her royal diary at some point but she's packed it all in over the course of one week. 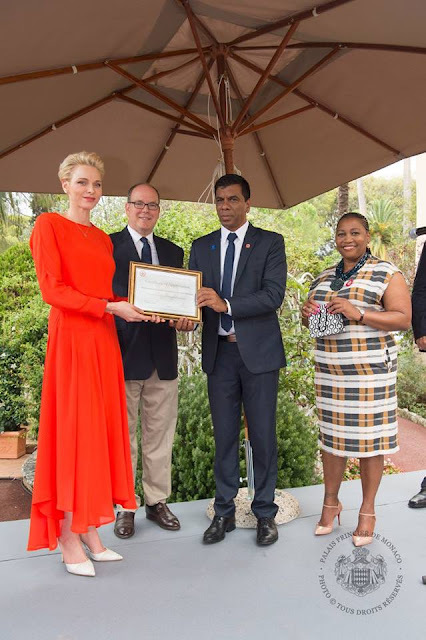 From keeping up Monegasque royal traditions to meeting Hollywood royalty, it's s been a glamourous seven days for this princess. It was a life on the ocean wave for the Duke and Duchess of Cambridge today as they headed to Portsmouth to support the bid to bring the America's Cup to Britain. 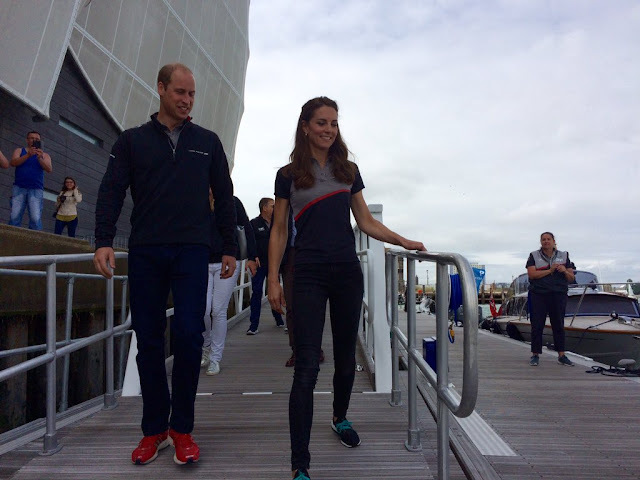 William and Kate dressed down and zipped up for an afternoon on the water as they found out more about the bid to win the most famous trophy in sailing as well as watch preparations in full sail. She's having a good July. The Duchess of Cambridge has topped the Royal Wardrobe poll for the third week in a row with the print dress that she wore to the Wimbledon men's singles final. It might not have been as clear cut a victory as previous weeks, but it's a big vote of confidence in Kate's style. As summer takes hold, the royal diary is getting quieter with holidays dominating or calling and engagements slowly winding down. That's not to say we haven't had some good royal fixes in the week. In the past seven days we've had big photo firsts, big birthdays and big anniversaries. To sum it all up, here's the Royal Week in Numbers. No date in royal history belongs to one person alone and while Prince George may have got most of the attention on July 22nd as he marked his third birthday, there was another royal celebration going on. 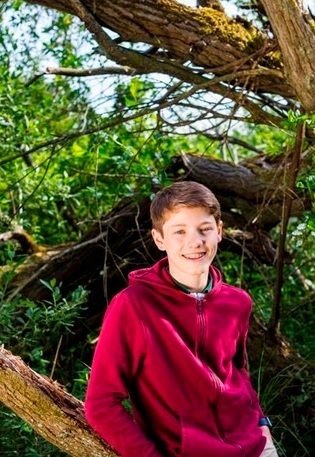 Prince Felix of Denmark, second son of Prince Joachim, turned fourteen and showed just how grown up he is in a new set of photos. Here he is. Prince George of Cambridge turns three on July 22nd 2016 and of course there are official photos. 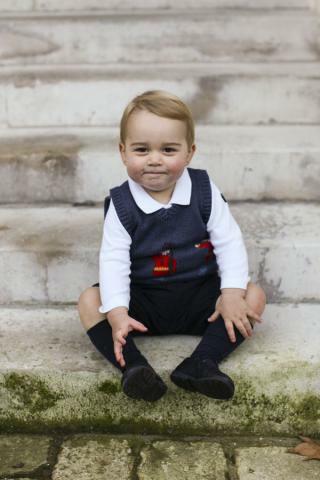 On this big birthday, the third in line to the throne is looking as cheeky as ever. Welcome to George's birthday album 2016. 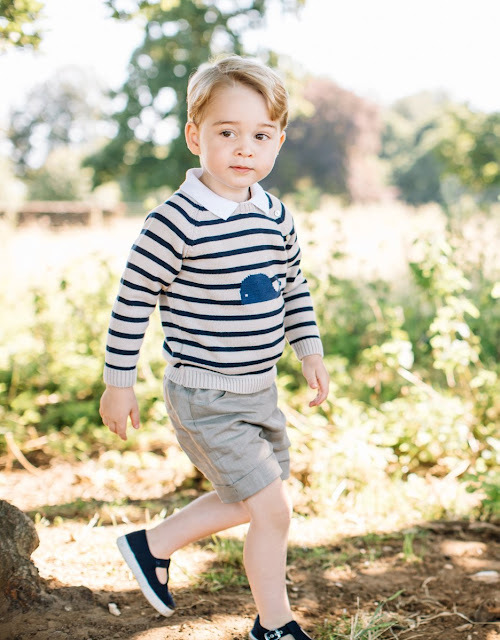 Prince George Alexander Louis of Cambridge is three today and while we wait for official photos, there are still plenty of snaps of the boy who will be king to keep everyone entertained on his big birthday. George, born on July 22nd 2013 at the Lindo Wing of St Mary's Hospital, Paddington, became one of the most photographed people in the world within twenty four hours of his birth as his parents showed him off to the press and just about everyone everywhere succumbed to royal baby mania. As George celebrates his third birthday, here's a look back at some of his most famous photos yet. 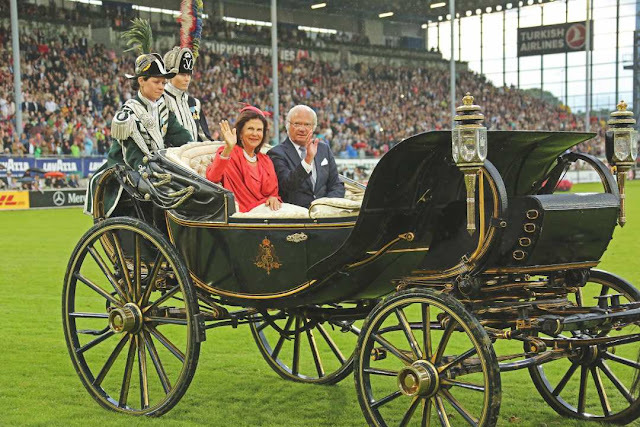 It's been a day of celebrations for Belgium's Royal Family as they led their country on its National Day. From the traditional Te Deum in the morning to the party in the park in the evening, the focus has been on coming together and on enjoyment. 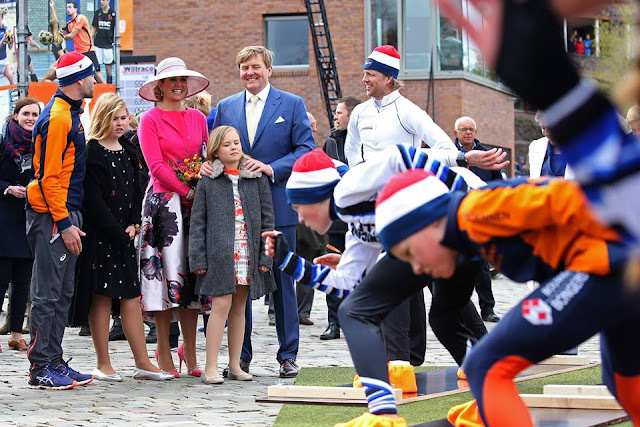 And while the celebrations have been led by King Philippe, marking his third anniversary as monarch, and Queen Mathilde in many ways it's been their four children who have been the focus on National Day 2016. 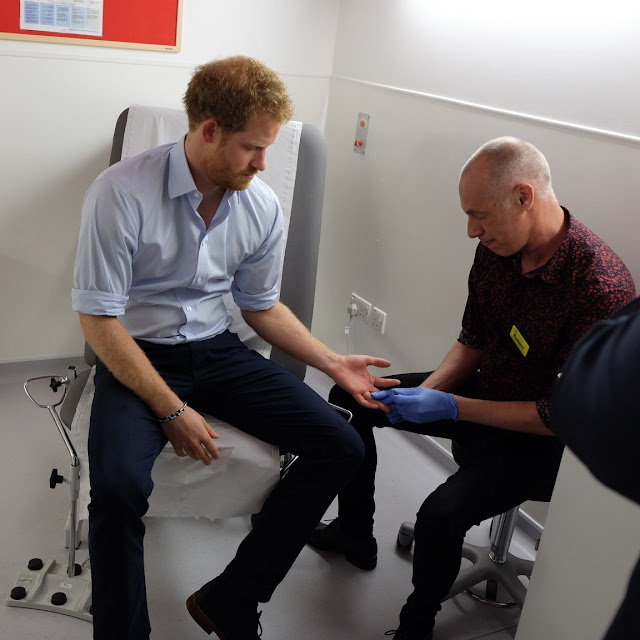 Last week, he gave us a royal first as he took an HIV test live on Facebook. Today, at the International AIDS conference in Durban, Africa, Prince Harry had a simple message - get tested, why wouldn't you? And he was so serious about it, he wrote it out for all to see. It's the day the modern monarchy in Belgium began and the day that the most modern of those monarchs began his tenure - July 21st is a pretty special royal day. 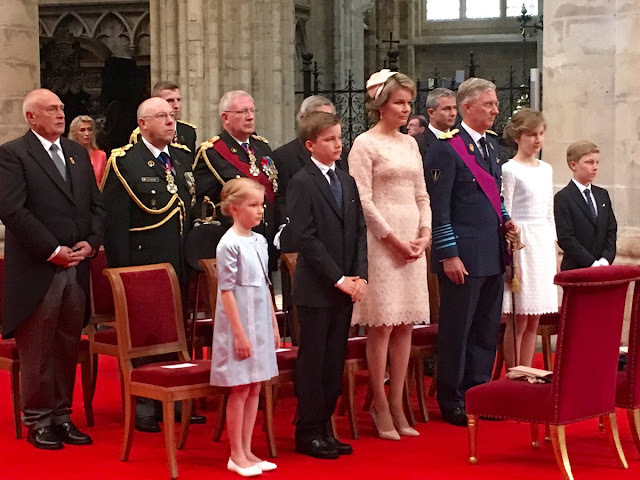 As Belgium marked its National Day and Philippe his third anniversary as King, his Royal Family began the day of celebrations by attending the traditional Te Deum service in Brussels. It's the photo everyone has been waiting for. 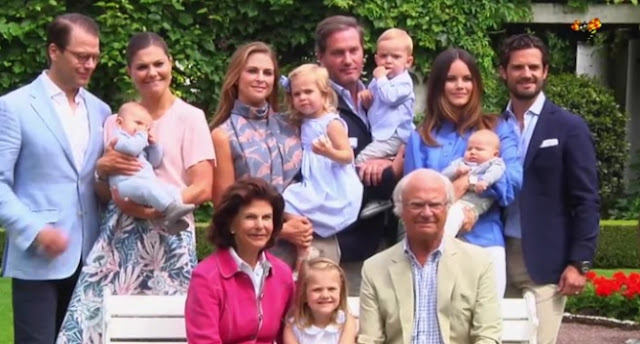 For the first time, King Carl XVI Gustaf and Queen Silvia have been pictured with all their descendants as their three children and five grandchildren joined them in the gardens of Solliden for a summer photo call. Belgium's National Day is now the anniversary of the start of his reign. Philippe became King of the Belgians on July 21st 2013 on a sunny day filled with joy. Three years on, his rule is seen as a success and a lot of that has been attributed to the support of his consort, Queen Mathilde. Now well settled in their roles as king and queen, Philippe and Mathilde begin a new chapter in their royal lives as they establish their reign and look to the future. There's seems to be something about rubies that makes the era of the pieces they belong to strikingly obvious. 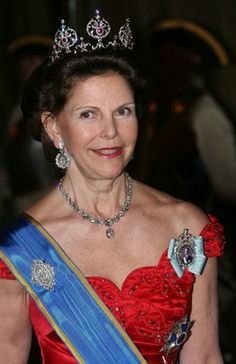 Queen Sofia's rubies (see more here) are about as Sixties as you can get, the Swedish Connaught tiara couldn't look more Edwardian if it tried (don't believe me then look here) and the Burmese Ruby Tiara belonging to Elizabeth II only needs one glance to tell you that it was made in the 1970s. Maybe it's the fiery red colour that focuses the eye more but these gems really paint a picture of the time their settings were created. The seventies theme of the Burmese Ruby Tiara takes us right back to a time in the historic reign of Elizabeth II when she was just marking the first of many major milestones. It's not actually a royal wedding but in the absence of Harry saying 'I do' anytime soon, this will have to do. Pippa Middleton, younger sister of the Duchess of Cambridge, is marrying her boyfriend, James Matthews. And she's got a king of a diamond to prove it. Rubies with their hot, fiery colours suit the warm summer month of July down to the ground. The gems are usually bright red (although shades ranging from deep pink to burgundy are known) which means they are eye catching and much in demand. So it's no surprise to find that many royal houses in Europe own at least one set of these stunners and Spain is no different. But its ruby collection is very different from those in other regal collections and its striking design and flexibility makes the Spanish set a real stand out set. Here are more Rubies for July. It might have been a quiet week on the royal front but we still had enough to enjoy and get us through seven days when the weather warmed up and the sunshine finally put in an appearance. From royal firsts to big birthdays, everywhere you looked there were figures to get your head round. So to sum up the seven days that have just been, here's the Royal Week in Numbers. Things are getting quiet in the world of royal appearances. As summer holidays take hold, the number of regal days out is getting slimmer as everyone enjoys a well earned break after a busy start to 2016. But we still got a selection of style statements to enjoy in the past seven days - you can choose your favourite, as always, by taking part in the poll on the main page. It's all about sparkle and prints this week - here's the Royal Wardrobe. 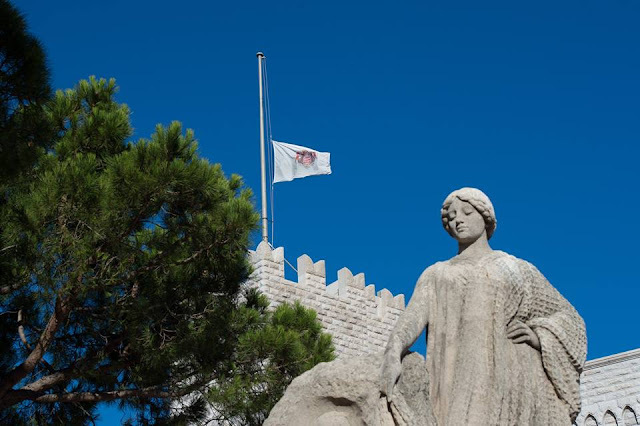 Royal families across Europe have sent their condolences to the President and people of France following the attacks in Nice on Bastille Day which left at least 84 people dead. It's that time of year when everyone's thoughts turn to holidays and camera lenses turn to royal summer residences around the continent for the traditional pre break pose. This week it's the turn of Denmark's Royal Family and while their summer snapshot session was a bit smaller and more low key than usual, it still provided some fabulous photos to get the season started. Estelle is cute, so is her brother and the Crown Princess of Sweden really suits traditional costume. 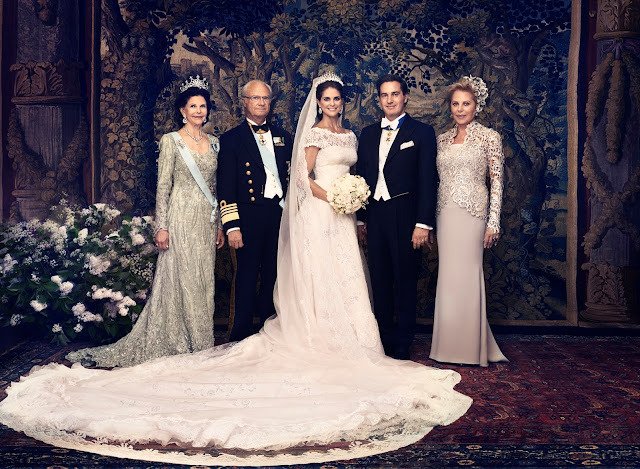 All these things were clear already and only underlined by the appearance of the Swedish Royal Family at the birthday celebrations for Crown Princess Victoria at Solliden on July 14th. Here's a look back at Victoria's big day in photos. It was a very different look for the Duchess of Cambridge and it proved a winner. The white off the shoulder dress worn to the Museum of the Year Awards in London easily topped the latest poll to find the best royal style statement of the past week. Kate really did wow in white. When you're a brand new prince, you get to make a lot of debuts and Oscar of Sweden has just got another one under his babygro belt. 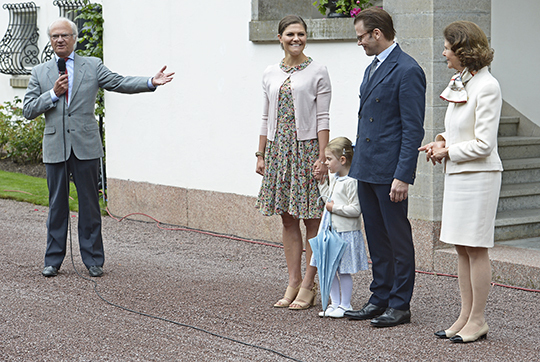 As his mum marked her 39th birthday, the second littlest Bernadotte starred in her celebrations for the first time. And along with his sister, Estelle, he stole the show. In a real royal first, not only did we get to see a member of the Royal Family having an HIV test today, it all happened live on the internet. In a bid to end the stigma around HIV/ AIDS and encourage more people to get tested for the virus, Prince Harry had a test live on Facebook. It was a moment of royal history and you can see the full video at the end of this post. You know what it's like when you're just on shift, starting another day at work and then your granny turns up. 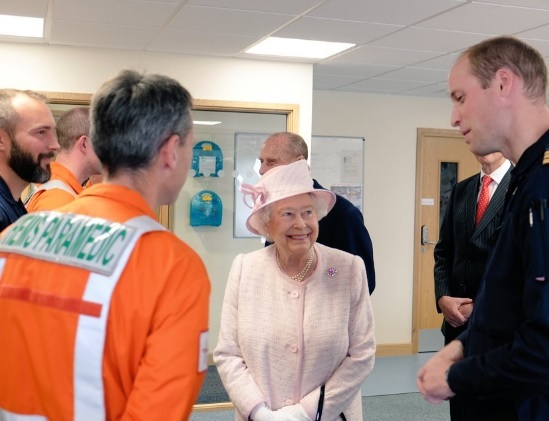 The Duke of Cambridge got to welcome a very important visitor to his office yesterday as the Queen arrived to open the new East Anglian Air Ambulance base in Cambridge. 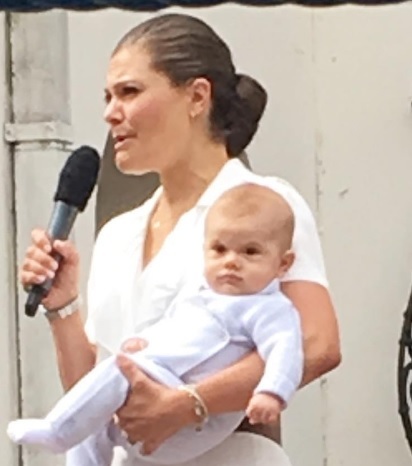 July 14th marks the birthday of Crown Princess Victoria of Sweden which means singing, speeches, a crown of flowers and some great photos. The heir to the throne always makes a couple of appearances on her big day and this year will mark another first in the birthday celebrations of this princess as she will have her son, Prince Oscar, to join in the festivities for the first time. In anticipation of Victoria's Day, here's a look back at how she's marked her birthday since she turned thirty. 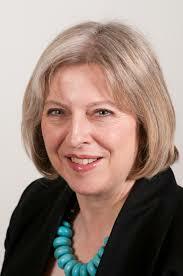 Prime Ministers come and Prime Ministers go but one thing stays the same. As they walk in, they must be appointed by the Queen and as they leave it's her they have to hand their notice to. Today saw those moments of history played out behind closed doors and yet in front of the whole word. 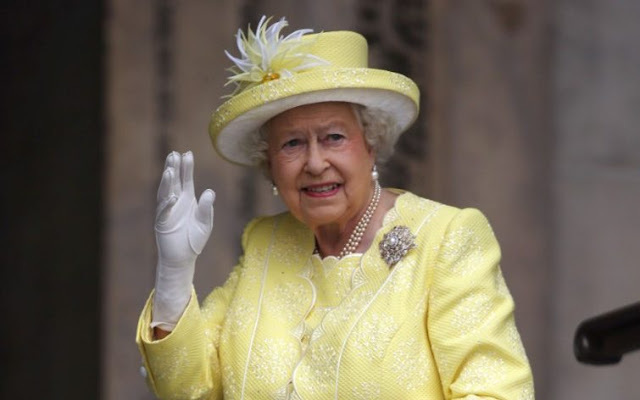 The Queen has welcomed her 13th Prime Minister and waved farewell to number twelve at the same time. There's nothing like going to your hohome. 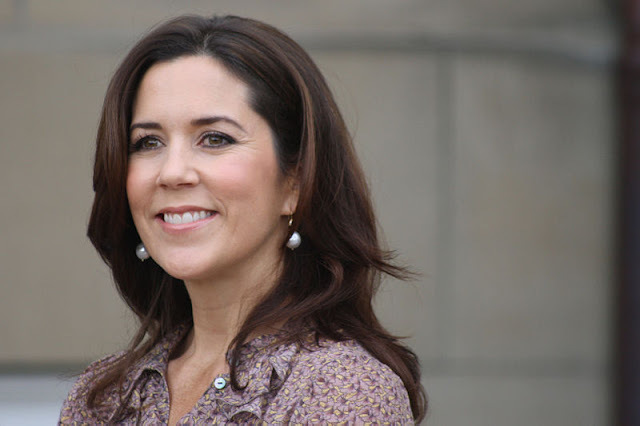 She might be Queen of Sweden and devoted to the country she has reigned for forty years. but Germany still holds a special place in Silvia's heart. And as she spent several days in Aachen this week, it was clear to see how much it meant to her to return to the country where she was born. Belgium is beginning its push for a non permanent seat on the United Nations Security Council for 2019 - 2020 and it has high profile royal support on hand. 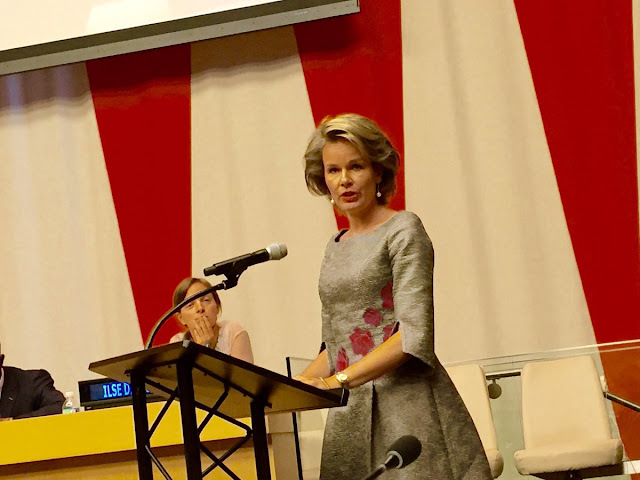 Queen Mathilde of the Belgians has spent the past two days in New York as the campaign unfolds and as she highlights some huge and sometimes difficult issues. This has been a big visit for Mathilde and she'll leave with plenty of plaudits. There are some outfits at weddings that everyone remembers and some everyone wants to see before things even get started. One of those is the choice made by the mother of the bride. While her daughter will be the centre of attention for the big day, there's plenty of interest in what mum wears. After the bridesmaids, in fact before the bridesmaids for some people, what's worn by the mother of the bride is of most interest of all. And when it comes to rising to the occasion and ruling royally in this category, Queen Silvia of Sweden takes some beating. Here's a look back at the two looks she chose as mother of the bride. The Queen will welcome the 13th Prime Minister of her long reign when she meets Theresa May in the coming days. Mrs May will take up the role after her only rival for the position, Andrea Leadsom, dropped out of the race. Theresa May succeeds David Cameron who resigned following the UK vote to leave the European Union on 24th June 2016. It's been a special day for British tennis at its spiritual home and as the sun shone and champions poured out of every court, there was plenty of royal cheer in the celebrations. The Duke of Kent has spent several Wimbeldon finals as a lone royal in the big box above Centre Court but today he couldn't move for regal relations as Andy Murray claimed a second singles title and Heather Watson became a Grand Slam champion for the second time. 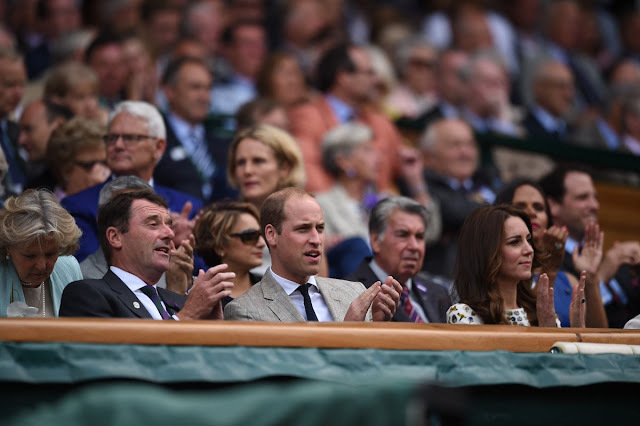 It was a right royal turnout as Wimbledon 2016 came to an end. This week was all about being bold. From big blocks of colours to once in a royal lifetime prints and with a few daring moves in between, there were some style statements that stood out for their determination. The Royal Wardrobe this week is all about being bold - and you can vote for your favourite on the main page. 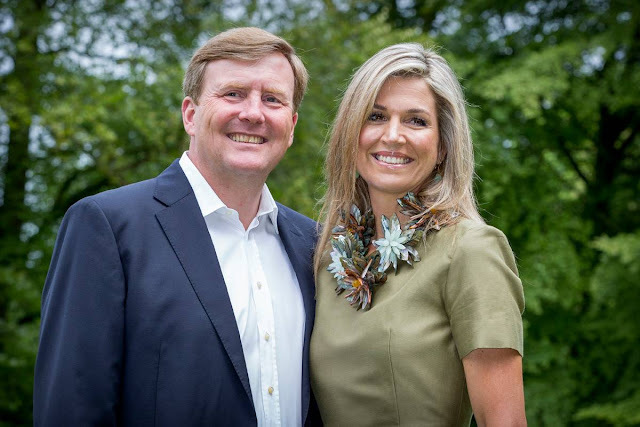 Earlier this week, it wasn't certain that she'd be there but as Queen Maxima of the Netherlands got her family summer holidays under way with the traditional photo session she was all smiles on a day out. Maxima had been diagnosed with a light concussion after suffering a fall but she was showing no signs of it as she posed with her husband and daughters in the grounds of Villa Eikenhorst this afternoon. In fact, it was another family ailment that got everyone talking as heir to the throne, the Princess of Orange, appeared on crutches with a bandage on her ankle. 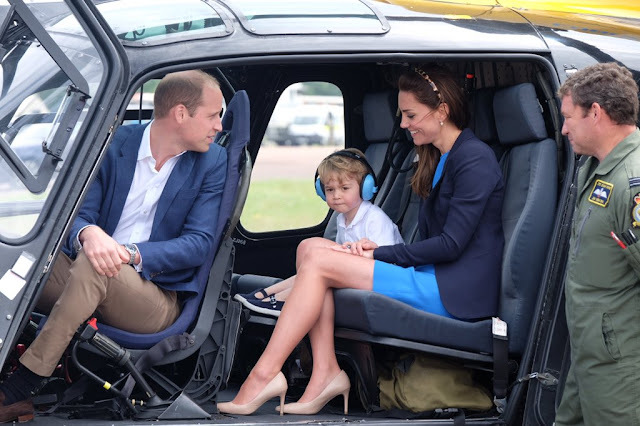 His name wasn't even on the official guest list until the last minute but as Prince George accompanied his mum and dad to an Air Tattoo in Gloucestershire, he stole the show. The third in line to the throne donned ear protectors, sat in a helicopter and got the biggest sticker in town to wear. There was only one person enjoying themselves more and that was his dad. William couldn't stop smiling as he got to show his son how to take to the air. She's having a good month. For the second week in a row, the Duchess of Cambridge has topped the best dressed poll and while the win this time round wasn't as comprehensive as before (what was ever going to top that golden gown?) it was still a definite victory. Kate is looking great right now. 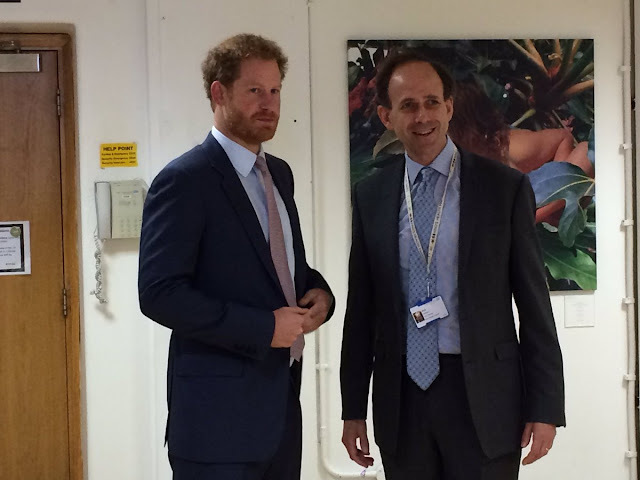 Just last month, Prince Harry announced that he wanted to renew the focus on treating and preventing HIV/AIDS and this week he headed to hospital to hear more about work in this area. 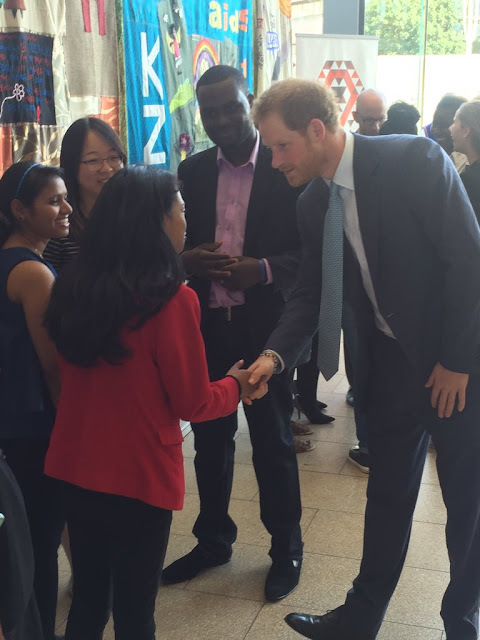 The prince went to King College in London to hear about its work on early diagnosis and ending stigmatisation. 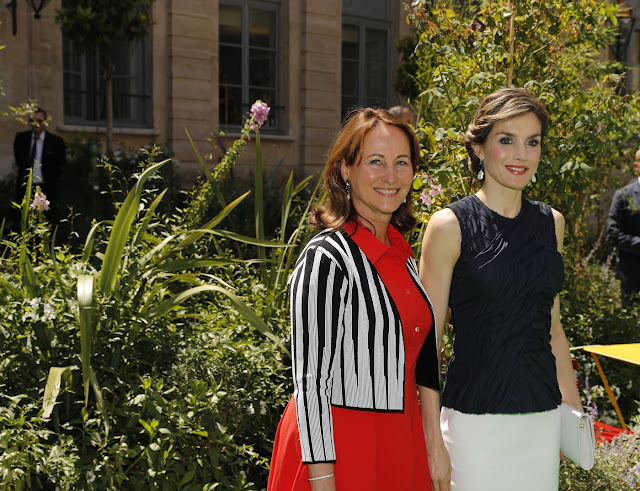 Food and health were foremost on Queen Letizia of Spain's mind as she headed to Paris on July 7th. The Spanish queen was attending the first day of the Second Global Conference on Health and Climate Change being held there. And in her speech Letizia, a Nutrition Ambassador for the UN's Food and Agricultural Organisation, talked about the issues that hunger and overeating pose for modern societies. It's turning into an annual event. The Duchess of Cambridge, sans Duke as he was in Edinburgh for the Order of the Thistle ceremony, headed to Wimbledon for a spot of tennis. 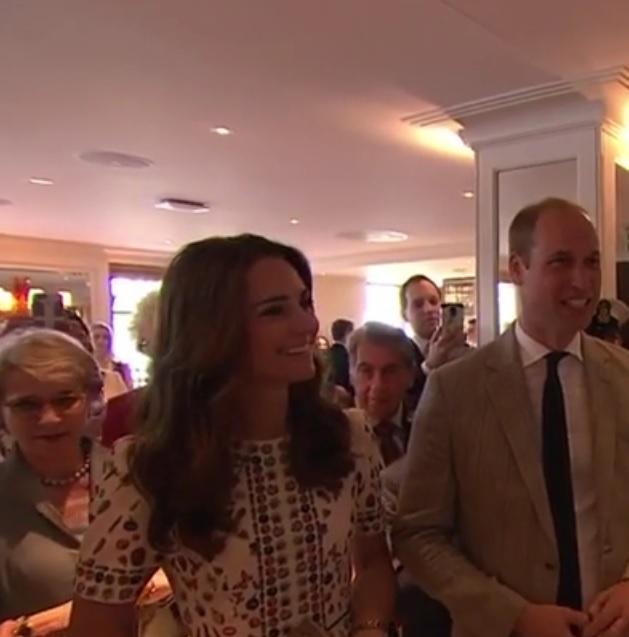 And while Kate certainly got the most attention so far this year for taking a seat on Centre Court, the comfy green armchairs there have already welcomed plenty of royal visitors in 2016. Here's who's been to the All England Club as the 2016 Championships continue. July has the fiercest and fieriest of birthstones. It's pretty fabulous too. Rubies are red and we all love them too. 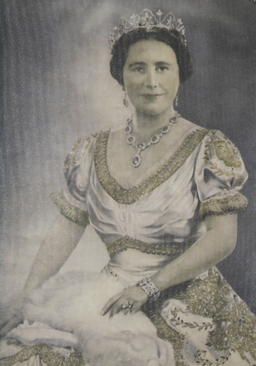 There are some pretty spectacular sets of these gems in the royal jewellery boxes of Europe and this month we'll look at quite a few of them in their tiara settings. We'll start with one that began with a right royal romance, took in a family dispute and ended up being a bit of a debut diadem in the 21st century despite being made at the start of the 20th. Welcome to Rubies for July and Sweden. The Duchess of Cambridge got all arty last night as she headed to one of London's most famous cultural icons to present a major award. 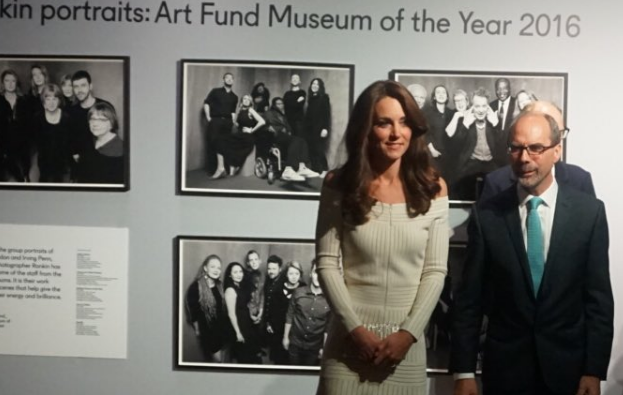 Kate was at the Natural History Museum to hand out the Museum of the Year prize for the Art Fund. And the winner had a very familiar royal name. Summer is in bloom. 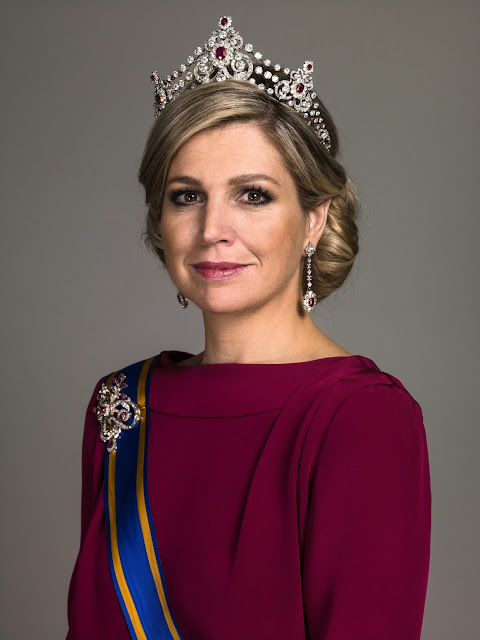 The sun is shining, the temperatures are warming up and suddenly there are flower power looks everywhere and that's before we even get round to remembering that Queen Maxima wore a beach on her dress the other day (she did, check it out here). As Queen Letizia of Spain becomes the latest royal to channel her inner 60s chick and go all floral on us, here are five recent moments of regal flower power. It was a sunny, summer filled visit and not just because of the warm skies above Amsterdam. 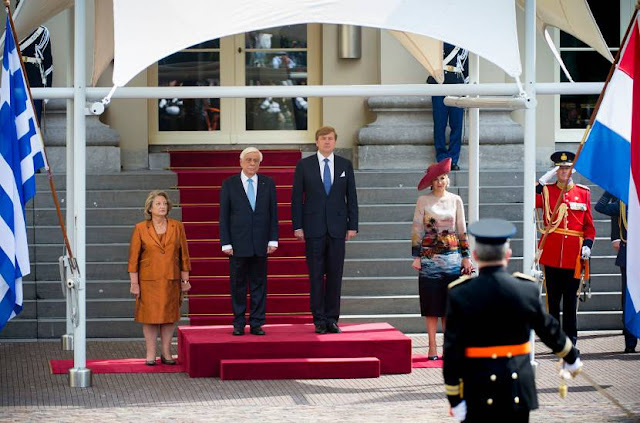 As the President of Greece and his wife arrived for a whistlestop tour of the Netherlands on July 4th, there was a warm welcome, lots of smiling and a royal dress that appeared to feature a beach. Welcome to royal summer 2016.